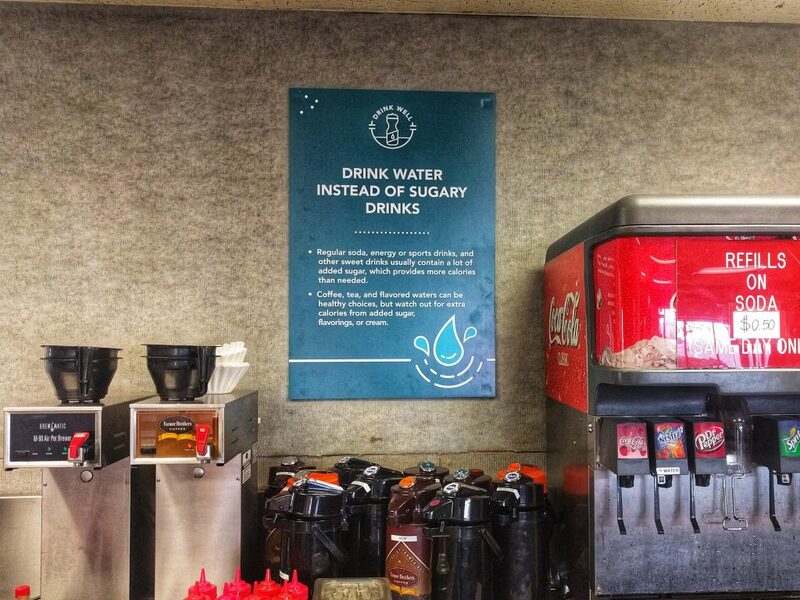 The San Diego County Office of Education (SDCOE) continues to prioritize employee wellness by making the healthy choice easy and accessible for all employees at work. 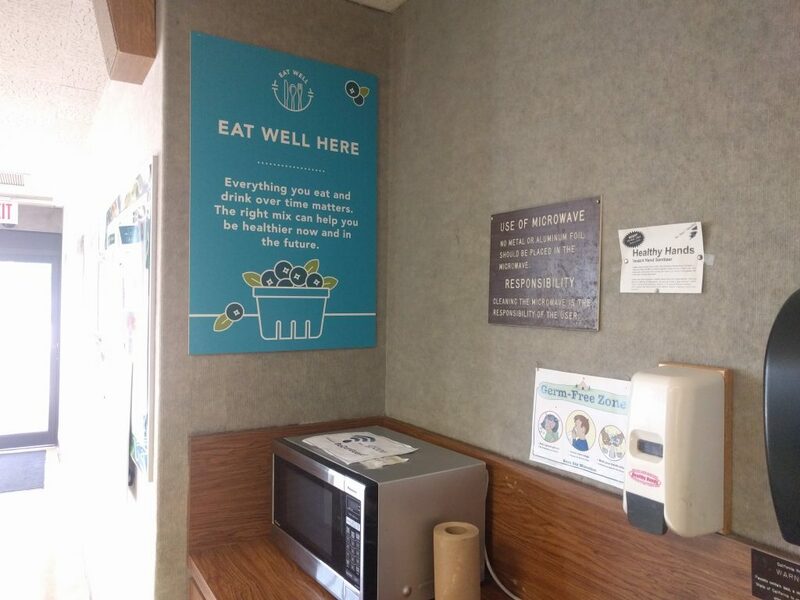 In collaboration with the SDCOE Wellness Committee and the cafeteria manager, Live Well @ Work supported SDCOE in redesigning their cafeteria environment to better promote healthy food and beverage options. 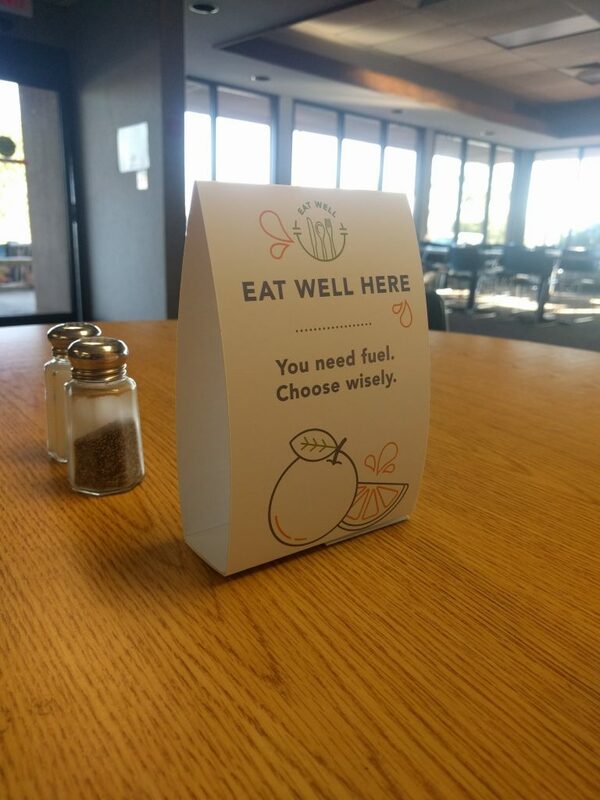 The Live Well @ Work team provided posters and table tents with positive healthy messaging, healthy salad bar clings, Eat Well choice of the day signage, and storage items such as wicker baskets to highlight healthy snacks and beverages. 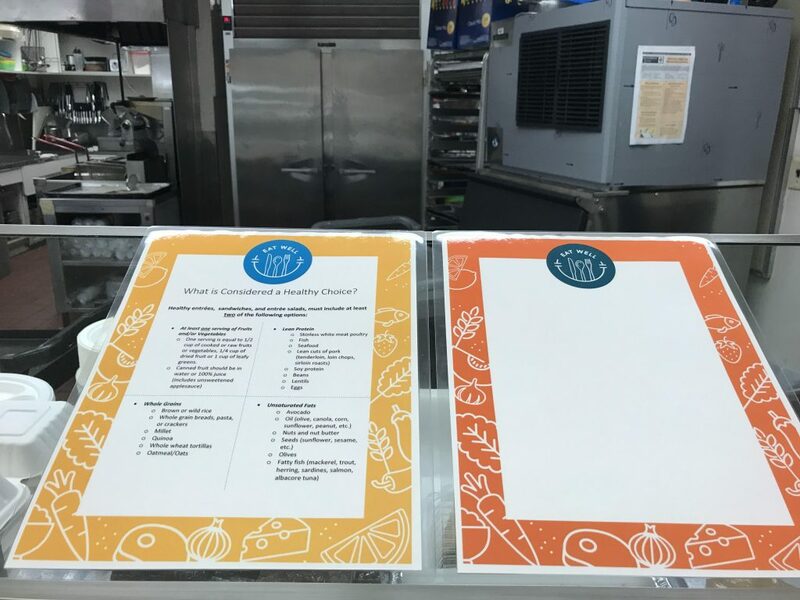 Simple nutrition standards were also created with a focus on fresh fruits and vegetables, lean protein, whole grains, and unsaturated fats to assist the cafeteria team in selecting their healthy menu item of the day. 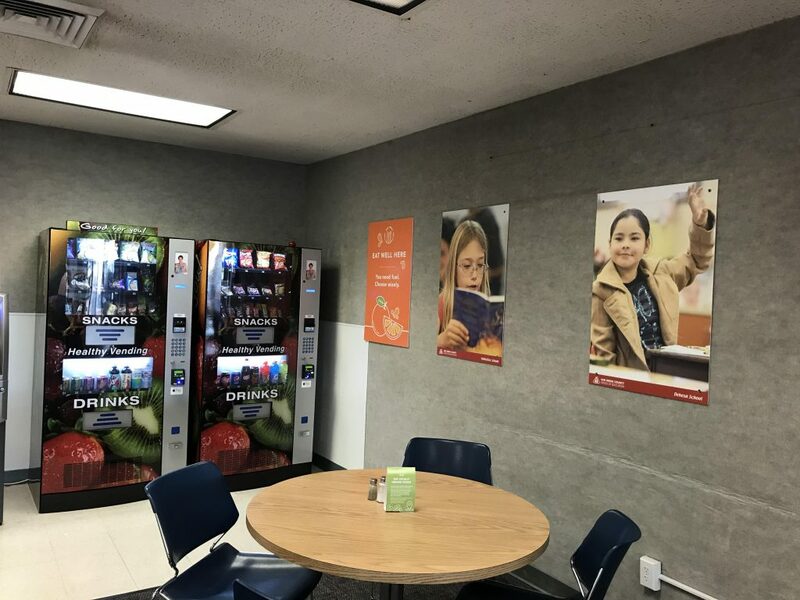 The redesign effort demonstrates SDCOE’s continued commitment to employee well-being as they push forward as a leader in employee wellness in San Diego County.